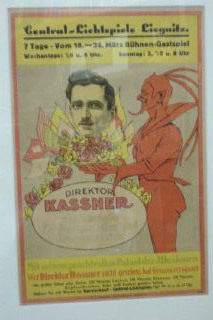 Early poster, in an unusually small quarter sheet size. Framed. 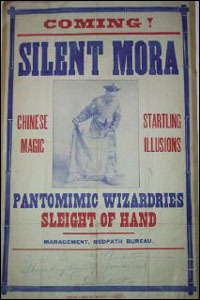 "Witch, sailor and enchanted monkey" The classic one sheet poster from Strobridge. Mounted. f/c 3 sh. 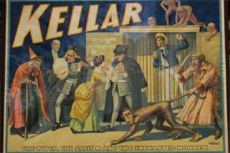 This was a Jansen poster originally,later used as a stock. Therefore quite early. 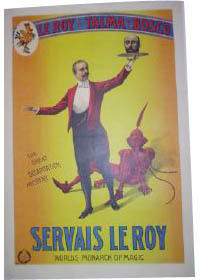 L.
Rajah Lucrows "The Roi Mystere"
Servais Leroy- "Crate of illusions"
All out of a Hat, 1 sh. 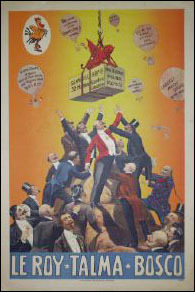 1908(Strobridge). 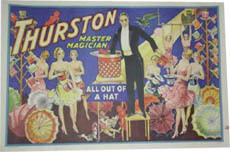 This three sheet litho has everything you could hope for in a Thurston poster. This one has had a bit of restoration, but overall is in good shape.L. 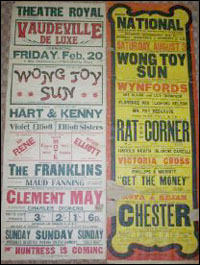 English music hall posters mounted on paper.